Throughout the year, 8BIT tries to read through several books in order to find the things that can help make us a better team. 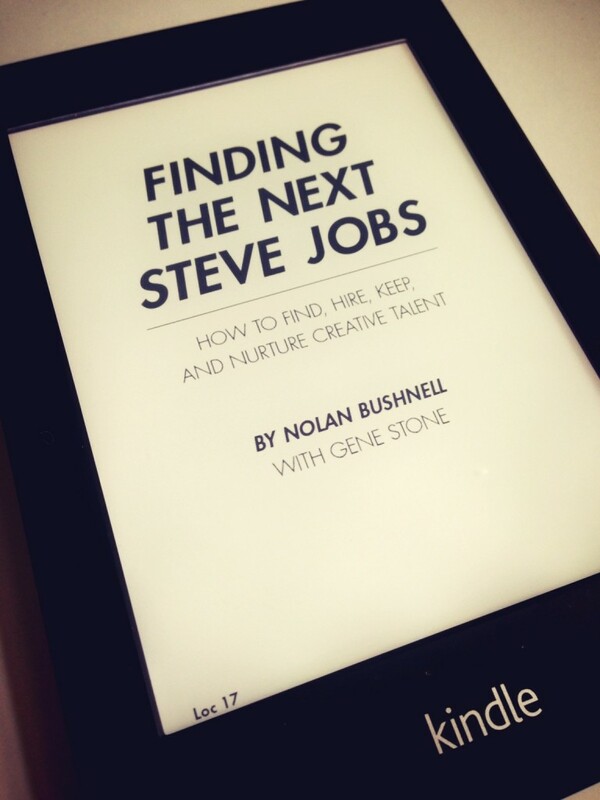 This past past weekend, I read through Finding The Next Steve Jobs as it was the book that was next in our line-up. At the end of this post, I’ll share all of the parts that I highlighted while reading the book, but I first want to share my personal takeaways from the material in the book. Generally speaking, I enjoyed it. It reminded me a lot of Rework in which the book is primarily made up of a number of very small chapters each of which has a single point that it attempts to make. Of course, they’re different books with different tones and it’s not really fair to compare them. So with that said, I thought I’d go ahead and share some of my personal take aways from the book. One of the things that I’ve disliked seeing is the number of different books, short films, documentaries, and so on that immediately popped up shortly after Jobs’ death. Although some of them do contain some really interesting, useful information, others feel rushed, disingenuous, and if they were more or less trying to take advantage of the situation. This particular book is not like the latter. Instead, the book is written by Nolan Bushnell – the founder of Atari, Inc. and Chuck E. Cheese. The guy was personal friends with Steve Jobs and, as he admits, much of the content of the book comes from notes taken during his time with Jobs. One of the most important things that a company can do in order to thrive is to find creative people, create environments to help them thrive, and make a concerted effort to make sure that the employees have plenty of time and space to foster said creativity. It sounds almost too simple, right? If the above is true, then why is it that we have so many companies who desire creative people, then place them in cube farms with white walls and expect them to turn out amazingly creative work? Sure, that’s a bit of a generalization – there are a lot of companies who go out of their way to make sure they have environments that are comfortable for eight (well, at least) eight hours a day. There are also plenty of companies who allow employees to work from home or on somewhat of a less rigid schedule. But my main take away from the book is that creativity needs space to thrive and environments should cater to that. Of course, this doesn’t mean go out and buy a new building. Perhaps a bucket of chalkboard paint or whiteboard paint will do the job. Whatever the case, look for opportunities to help employees have various outlets for which their creativity can exert itself while working through problems. More, now so than ever, I think that we live in a world where there are self-proclaimed “creatives.” But what does that really mean? By that, I ask are creative people those who paint, those who draw, those who design, those who come up with ideas, those who build software, those who create things with raw materials (and so on)? After reading this book, the truth is that I think it can be all of those. For the most part, I think that people are creative, it’s just that we live in a world where the primary people we think of as being creative are those who create some form of art – be it digital or analog – or those who design specifically for the web, for software, or similar mediums. But the truth is that people who work on, say, circuit boards or who work on the architecture for a certain building have their own problems to solve and often rely on a level of creativity to make it work. Ultimately, creativity transcends mediums in which it’s discussed, and whether or not a person labels himself or herself a creative, s/he is creative in their own right. Just because it doesn’t align with whatever definition you expect doesn’t mean they aren’t. One of the things that the book acknowledges is that creative people tend to have their own method of thinking through problems, have their own set of interesting hobbies, and their own working habits. And this makes sense especially if you believe that we’re all creative to some degree. But the thing is that because of that, certain rules, regulations, and/or ways that we get work done varies from person to person. Personally speaking, this is one of the things that I’ve had to learn as I’ve worked with my own team. Simply put, I’m a list maker and I manage my time in my own way. Other people with which I work don’t make lists, and they manage their time completely different. That doesn’t make them wrong, nor does that make me right. It’s a neutral issue. The most important thing is that we figure out a way to make sure that we’re able to work together to continue building good stuff despite our different methodologies. One way that Finding The Next Steve Jobs encourages this is to try to keep a company’s hierarchy as horizontal as possible. This is the second book I’ve read that recommend this. The thing is, when you’re working with a four to six person team, it’s relatively easy; however, when it comes to, say, a 100 person company, I’m not really sure what this would look like. One day, maybe. Maybe not. Either way, because I’ve now seen this particular idea crop up several times, I can’t help but to continue thinking about it. Thanks to the Kindle, keeping track of notes, highlights, and even sharing information is really easy. Out of all of these features, I’m an avid highlighter. As such, I thought I’d share all of the highlights that I made while reading the book. No, I’m not providing any context for these other than they came out of the book, and that I liked them for one reason or another. Unfortunately, most companies seek homogeneity. But homogeneity does not breed creativity. You don’t want a homogenous company where everyone is interchangeable. 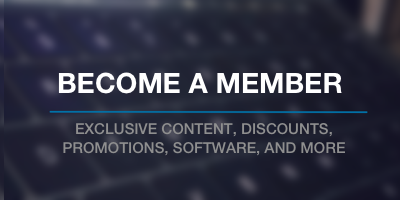 You want a company that is spiky. Spiky balls have great singularities; in spiky companies, these singularities are the exceptional people. Unbridled arrogance is obnoxious. Yet in some cases people’s arrogance is well-founded because they are, indeed, the smartest ones in the room and therefore accurate about their perceived value to your company. Nearly all creative ideas can sound crazy when first presented. Many other creatives, however, were the ones who were pushed around and mocked for being different, for having odd ideas, or for dressing strangely. The other kids made fun of them all the time. A blatant but often accurate generalization: People who are curious and passionate read. People who are apathetic and indifferent don’t. Never stop thinking of places to find and hire good people. Yes, a party. If your company can institutionalize a regular episode of genuine, collegial fun, you can create an environment where interesting people want to work—and play. The more horizontal the company’s chain of command, the fewer steps from creator to CEO, the better off the company is, creatively speaking. In the long run, it’s best to prevent any one person from taking the credit for a new innovation or idea. Too much clout! No company should ever empower the person who originated the idea with the ability to censor the person making improvements, even if the product is as amazing as the Amazing Widget 450. We all soon discovered that arguing for something you don’t believe can turn your understanding of the world upside down, and help you to see issues you had not been able to see before. Furthermore, by accepting failure as a necessary part of your business, you rid your employees of the constant fear that if they do something—anything—wrong, they’ll be canned. Unless you’re going for broke, and have good reason to do it, never bet more than a small portion of your assets on any one idea. That way, the project can be a total failure and yet allow you not just to survive but also to learn a great deal of valuable information. But all companies should have a budget that allows them to spend a certain amount or percentage on projects that are not guaranteed to succeed, and on ideas that allow creatives to figure out solutions to problems that others might not yet see as such. Face your fear with data. Creatives often go down their own personal rabbit holes and fail to finish their projects on time. When tasking a group of creative people, give them a heads up on their next projects. Their endlessly functioning, hyperactive minds will immediately start thinking about the future, even as they are still working on their current projects. There’s an old saying, “The good ideas end up on the cutting-room floor.” How do they generally end up there? Because other people have taken those good ideas and thrown them away. But if all you ever do is shoot down project after project, you are always going to be 100 percent correct. Nothing upon which you have your stamp fails because you haven’t stamped anything. Any idiot can say no. There’s no mental process there. If you don’t like something, the trick is to think of something better. One of the best ways to do that is relatively simple: Ask people to write down their objections to ideas. Why? Because it’s too easy to kill an idea verbally. When people write critiques, with their name attached, they are forced to take personal responsibility for their negative opinions. Naysayers (see pong 40) reject before analyzing. They don’t want to say yes. Toxics are more dangerous—and often harder to recognize. They constantly reframe every possible new development at the company into one that is good for them—without any interest in whether or not it’s good for the company. Don’t force your creatives to spend all day at a desk. The more interesting and creative environments you place them in, the more likely they are to come up with interesting and creative ideas. So try a different approach. Say: I will build this only for rich people, who have money to burn. Tell them to turn their chairs around and sit on them backward, rearrange their desktops, lie on the floor. Success often creates a culture where people feel driven to create even more success, and more, and more, and then, as the company becomes increasingly known for hiring hard workers, even more. And more. When people work too hard, they become tired, they make mistakes, they lose their equanimity. Judgment is a delicate tool, however, and works best when accompanied by sleep, food, and tranquility. If you’ve read the book (or even if you haven’t), I’m interested in others’ thoughts on what the book captured. Wow – honored, Stephen. I really appreciate that.